Originally published in 1990. 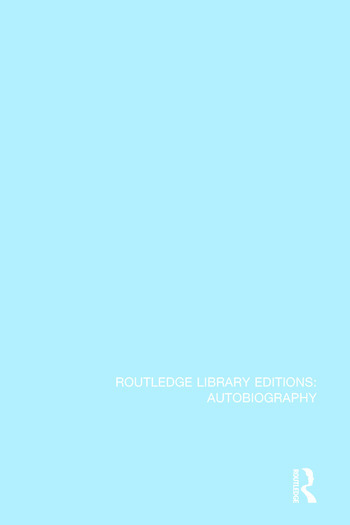 This uniquely fascinating study approaches the problem of autobiography from two directions: first assessing theories of the self, consciousness and language developed by both Freud and Derrida; second through the reading of the autobiographical aspects of their writings. The book begins with looking at the issue of making sense of a life by means of representation, through autobiography, within the field of psychological phenomena – screen memories, mourning, obsession, hysteria, transference. Part 1 focuses on Freud’s case histories and psychoanalysis being used to make a narrative of behaviour in language. Part two considers Freud’s own Interpretation of Dreams and its autobiographical nature. Part 3 examines intellectual movements such as phenomenology, speed act theory and structuralism while Parts 4 and 5 turn to Derrida’s use of autobiography as self-criticism and his debt to Freud.